Social fabric of Cambodian society is one of the rewarding studies on how to establish “strong institution of Cambodia”. According to a dictionary, social fabric means “The demographics of an area that consists of wealth, ethnic composition, level of education, rate of employment and regional values that are combined to create this social fabric.” But according to generalized concept, social fabric is the primary foundation of society bonding or society cohesiveness. Primary foundation of Cambodia doesn’t refer to the past foundation, but the present cultivating phenomena of this state crafting. 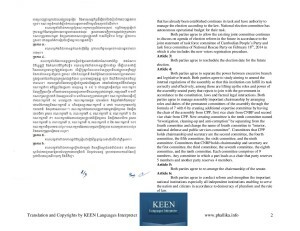 Many puzzling questions have evolved within Khmer mentality that who are responsible for the cracking, demolishing, revitalizing and reinventing of this society? Since the post-cold war, Cambodia at least has been traumatized by three social failures: the swift change from monarchy to republican during the Lon Nol regime which was trembled by the conflict between democratic bloc of USA and communist bloc of China, the Khmer Rouge regime of absolute violence power between 1975 to 1979, and the Cambodia socialist regime under Vietnamese occupation between 1979 to 1989. The syndromes of this traumatic reality are the visible dividing between supporters of monarchy and republican, the violence-embedded behavior of the Khmer Rouge and post-Khmer Rouge, and the nondetachable anti-Vietnamese sentiment. The reality of this divided social pattern is displaying in our daily sight of at least one Cambodian has carried one of these syndromes or two or all three together indistinguishably. One of the important resources to build a strong institution is to look at how effective communication between the state and society can respond to its realism, pragmatism, practicality and procedural-legal responsiveness. New sight of political culture of Cambodia at the present is the emergence of two-parties state and the political will of the top leaders of both CNRP and CPP. 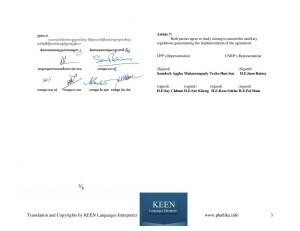 The agreement to settle down the confrontation on the street to paving way for the debate in the parliament through the reforming of National Election Committees (NEC), re-regulating the internal rules of the assembly which major voice can respect lesser voice, and lesser voice and respect major voice, and the resuming check and balance of democratic power, are all responsive. 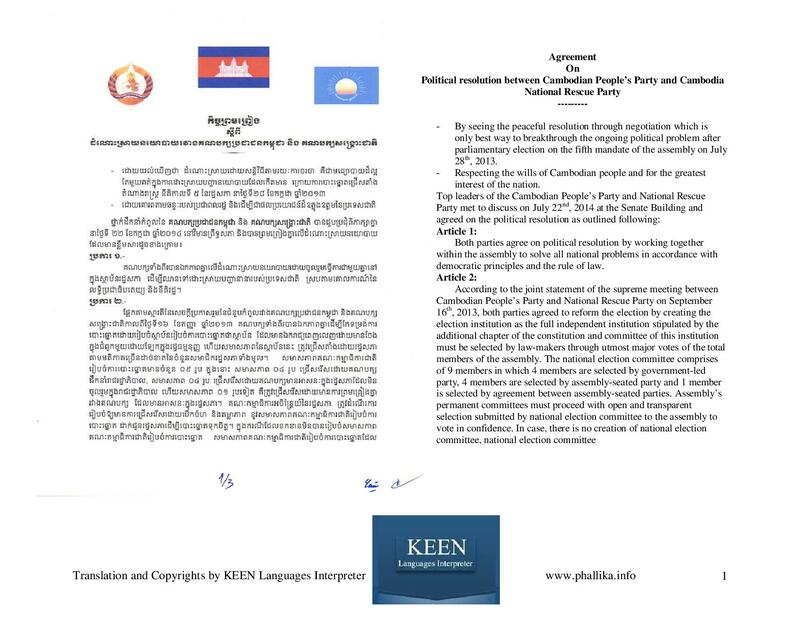 As the ninth member of the NEC has been chosen, Dr. Pung Chiv Kek of LICADHO’s founder, the next step of NEC reform is on public blinking eyes. But Cambodian people are still reluctant to predict good outcome from this move especially their doubts fall upon Hun Sen who is well-known for his great ability of tactician to advance his political career through means of undemocratic past. Like recent handcuffing and jailing of 7 MPs-elect of CNRP without fair trial, Hun Sen can utilize all his existing means to defeat, defame, or demolish his rivals. But this time, through the recent waking-up call of anti-Hun Sen voting and demonstrations, he has possibly surrendered himself by putting aside his past great techniques to embrace new way of competing through fair ballots and public participation. 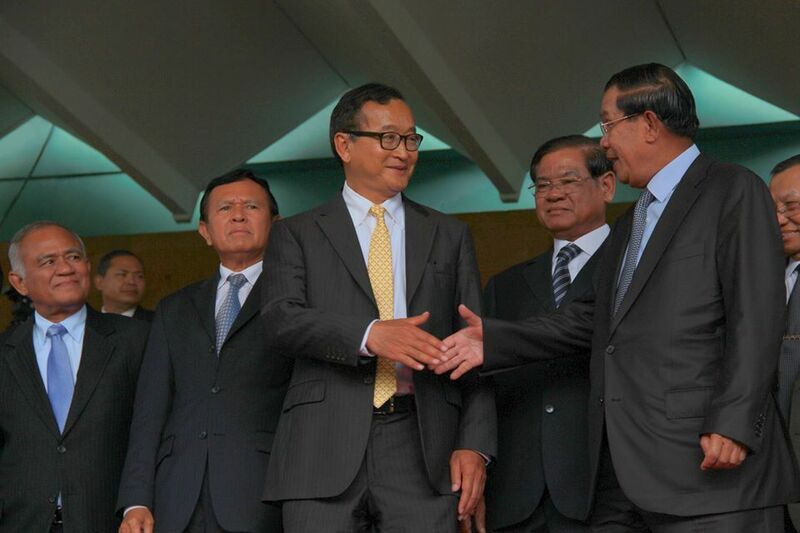 Sam Rainsy has also said that Hun Sen has embraced his new leadership style. Hence, the Cambodian people are still not quickly believing on this swift change. Hun Sen said before about his tactic of allowing balloon to be inflated to its apogee as he can deflate it to the eternal nonexistence. However, it seems arguable that his leadership has been changed by the new realization of young leaders or pragmatist clout from both CPP and CNRP. Those has silently demanded leadership change to embrace principles rather than stick on 3 kingdoms of Chinese legendary movie. Other thing is the non-cornering approach of the opposition leader. At the first party’s convention on July 27, 2014, top leader Sam Rainsy stated clearly on his non-supporting on the culture of “ant and fish tradition” by “embracing genuine national reconciliation of non-violence, non-revenge, and pursuing full heuristic political will to solve the problems of the nation”. 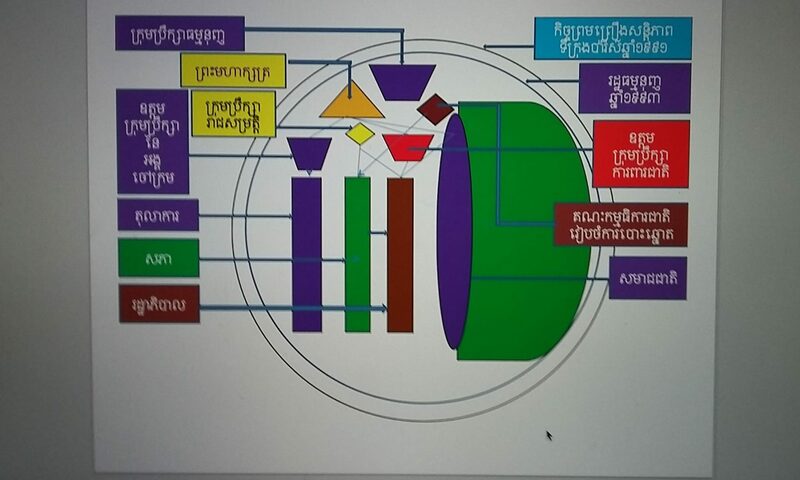 If the 7 points agreement shall be implemented without changing or obstructing, the hope for strong institutionalizing of Cambodia politics will pave a strong primary foundation to tackle all three mentioned social syndromes and it will become the comprehensive method of building social fabric of Cambodian society. Cambodian Buddhists are representing 95% of the total population in which there are about 4000 temples residential of more than 60,000 Buddhist monks. Through this density of moral population plus the strong cultural and traditional belief, the Buddhism has played important role to invent new social fabric of Cambodian society. We can say nothing in this world can hide itself from the “truth”, the “moon” and the “sun” or it is the “wisdom”, the “compassion” , and the “non-violence”. CNRP has apparently embraced this policy and it is one ultimate answer to bring back the Cambodian value is of the “Non-Violence”. Top leader Sam Rainsy, Kem Sokha and well-known women wing Mu Sochua have claimed this same value “non-violence”. Mu Sochua has always carried “lotus flower” as symbol of compassion, non-violence and wisdom. Since her daily routine to free the freedom park to the latest event of her release from Prey Sor prison, lotus flower has become her attire for public attention. The non-violence mean can defeat the culture of violence and division, the compassion mean can renege the politicians from fear of revenge when they are out of power, and the wisdom mean can produce large capital for sustainable democratic development. These three strategic means can surely spell out dividing, violence and Vietnamese ethnic sentiment in order to pave a new social fabric of Cambodian society. Once, a journalist asked me what democratic country that Cambodia should copy to develop its democracy? I respond that none. Cambodia can create their own democracy through the blending of universal value of democracy, Cambodian culture and Buddhism. With this argument, democracy itself has a lot of flaws. But Cambodia democracy will ensure that all Cambodian people can enjoy both physical and mental well-being. Many democratic countries advanced their politics and economic to the edge of materialistic achievement while the people are still shortcoming mental strength. After reconciling all the three suffering syndromes, the new social fabric of Cambodian society should be enriched by both physical and mental well-being. 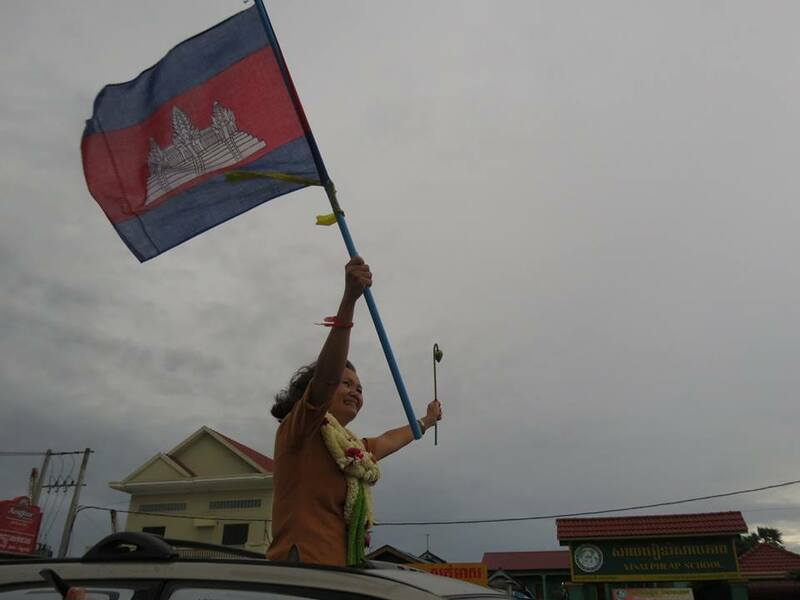 Cambodia has just taken a crucial step toward more participatory politics. But further progress toward democracy is likely to be slow and evolutionary rather than sudden and dramatic. On July 22, Cambodian opposition leader Sam Rainsy and Prime Minister Hun Sen finally announced a deal to end a ten-month standoff between the government and the opposition, which has been boycotting parliament as part of its protest against disputed elections last year. Rainsy has now agreed to let his party take up seats in the National Assembly in exchange for an overhaul of the election commission, the release of eight opposition leaders arrested in recent clashes with government security forces, and a grab-bag of other reforms. Though still controversial, the deal may yet herald a new turn in Cambodian politics. Since 1993, the Cambodian People’s Party (CPP) led by Hun Sen has dominated Cambodian politics in semi-authoritarian fashion. The CPP held regular elections, but the opposition never had a chance of winning due to widespread fraud, intimidation, and lack of capital. In 2013, however, the Cambodian National Rescue Party (CNRP) shattered this paradigm. The new opposition coalition came within a whisker of beating the CPP on a platform saying that they’d had “enough” and promising “change,” which appealed to a youthful, tech-savvy, and urban-centric demographic excluded from the spoils of political power, tired of rampant corruption and the oligarchic management of the economy, and unhappy at the prospect of dynastic succession among nouveau-rich families and clans. Hun Sen has long recognized that the CPP, which initially came to power on the coattails of the Vietnamese in 1979, needs legitimacy from the ballot box to cement its claim to rule. Periodic elections, however flawed, offered a fig leaf for continued authoritarian rule, allowing Cambodia’s leaders to assert their superiority to Vietnam and China. They also set the stage for the genuinely contested parliamentary election last year. Dissent within the party has been simmering for years. Over time, Hun Sen has become an institution that eclipses all others, including the CPP, the military, and the police. The party and its leader habitually renew their vows, but for at least the past five years Hun Sen has ruled by fiat, ignoring the CPP’s Standing and Central Committees, and in no small way contributing to the CPP’s malaise. The party and its leader habitually renew their vows, but for at least the past five years Hun Sen has ruled by fiat, ignoring the CPP’s Standing and Central Committees, and in no small way contributing to the CPP’s malaise. In fact, Hun Sen has been running the country through his public speeches much like Cambodia’s ex-King Sihanouk did in the 1950s and 1960s. 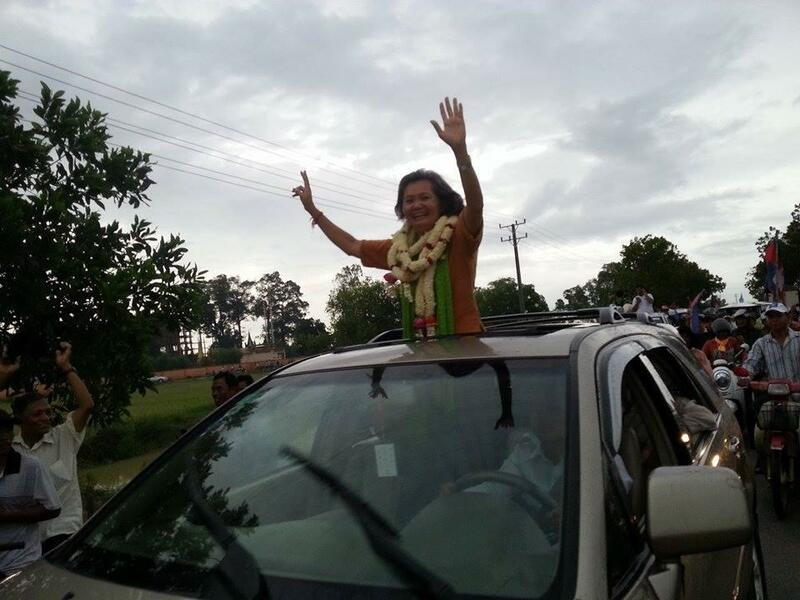 The discord came to a head in the wake of the 2012 local elections, when — despite another landslide victory for the ruling party — the opposition made clear inroads in the CPP heartland provinces of Prey Veng and Kampong Cham. The loss of influence clearly reflected party dissent. According to the Economist, of the 5.7 million CPP members, roughly half failed to vote for the CPP. 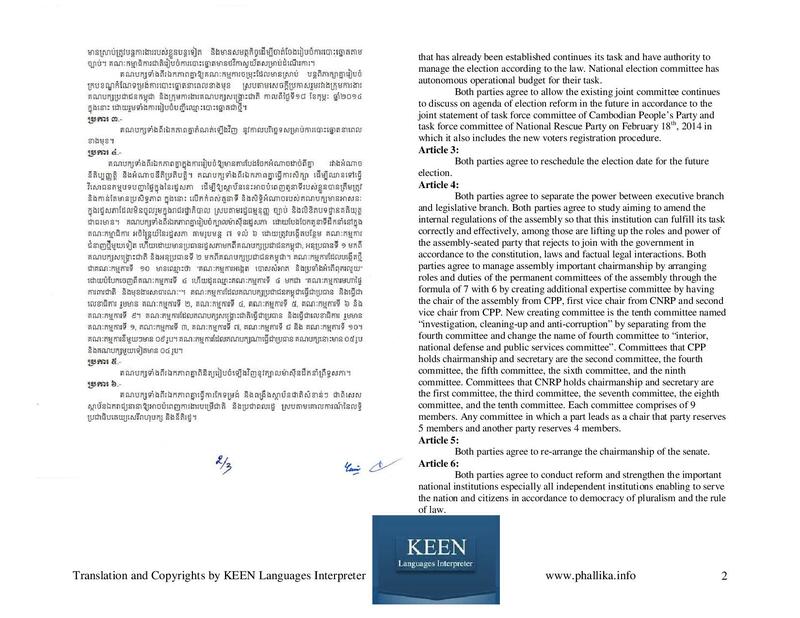 At an internal party meeting in August 2012, just 11 months before the 2013 elections, Hun Sen berated individuals by name for sloth, corruption, and ostentatious displays of wealth, and ordered CPP parliamentarians to spend their weekends in the provinces with their constituencies. After their surprising gains in 2012, the Cambodian opposition approached the 2013 elections with gusto, knocking on provincial doors well in advance of the campaign period. Two of the parties, the Sam Rainsy Party and the Human Rights Party, joined together to form the CNRP and developed a national platform to increase monthly salaries and the minimum wage and improve access to health care. Though both Hun Sen and Sam Rainsy are lauding the compromise that ends nearly a year of political deadlock, critics see it a temporary fix, kicking the can down the road for future institutional reforms. 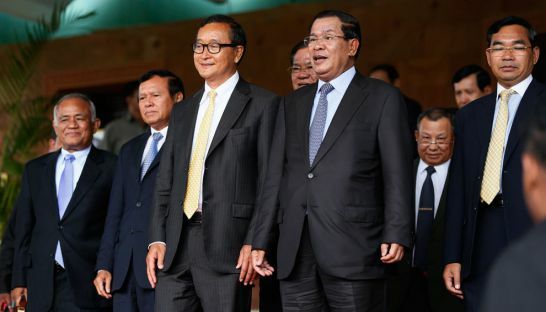 Though both Hun Sen and Sam Rainsy are lauding the compromise that ends nearly a year of political deadlock, critics see it as a temporary fix, kicking the can down the road for future institutional reforms. But those critics may be missing one crucial facet of the bargain: It emerges at a moment when the country’s main partners, China and Vietnam, are equally frustrated with the CPP. In 2005, the Vietnamese Prime Minister Phan Van Khai publicly denounced corruption in Cambodia, and in 2007 a Vietnamese delegation delivered blunt messages to the CPP. Vietnam might not be a democracy, they argued, but it does allow for change within the leadership; Cambodia should follow its lead. Similarly, they said, Vietnam debated policy in its national assembly; so should the Cambodians. China, meanwhile, has quietly given the Cambodian leadership similar messages, pointing out to CPP chiefs that the Chinese Communist Party has now set a retirement age of 68 for top leaders, and 65 for senior officials. At 61, Hun Sen still has another seven years left — but there many old-guard CPP members who are long past their due date. The problem for the CPP is that internal differences of opinion have made it virtually impossible to agree on deadlines for retirement and generational renewal of the party’s senior leadership bodies, the Standing Committee and the Central Committee. The CPP is struggling to reinvent itself — and, in the meantime, it is giving the opposition a clear opening. If China and Vietnam think that the CPP is giving one-party states a bad name, they are also hesitant to accept Cambodia’s evolution into a genuine multiparty democracy. China, however, might be willing to tolerate greater freedoms in Cambodia if the opposition backs China’s territorial claims in the South China Sea over Vietnam’s. The combination of CPP inertia, newfound energy within the opposition, and a division between Cambodia’s traditional hegemons might yet produce a genuine multiparty democracy. Such an outcome is most likely only as the result of many more years of patient political development, but the Hun Sen-Sam Rainsy deal has now created a crucial precondition for this evolution by putting the opposition firmly in the game. And this is undoubtedly where the Cambodian population wants it to be. As Hun Sen walked out from the Senate Building, he spontaneously told the waiting reporters that “victory, let together help applaud”. Cambodian people and supporters have posited doubt on what “victory” he mean? The agreement both parties signed seem show clear road-map bringing into implementation, but sympathizers see this as “output” not the “outcome” at all. On the other hand, some articles on the agreement are still vague and need more time to realistically articulate them. 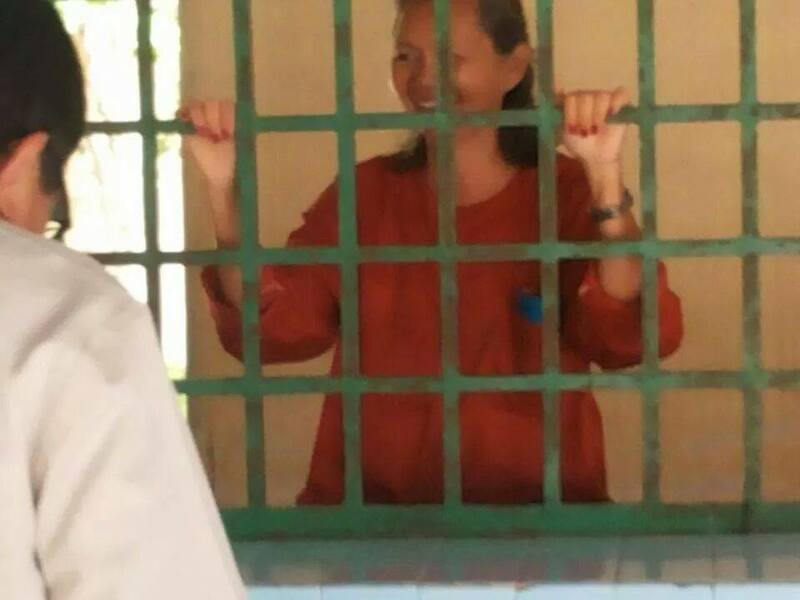 The victory might be plausible for Hun Sen as he will lead this government legitimately for another 5 years while Sam Rainsy is feeling relaxed as his 7 MPs-elect and one activist can walk out the prison as a bail from their unjust pre-trial detention. The two phenomenon is very dichotomous. Beside of clear numbers, roles and responsibility for power sharing within the parliament, the important agendas on National Election Committee (NEC) in-dept reform and the rescheduling of early election date caused by recent protests of election flaws, both are not yet written. The agreement just said they will anticipate with the task force of both parties to work on it. 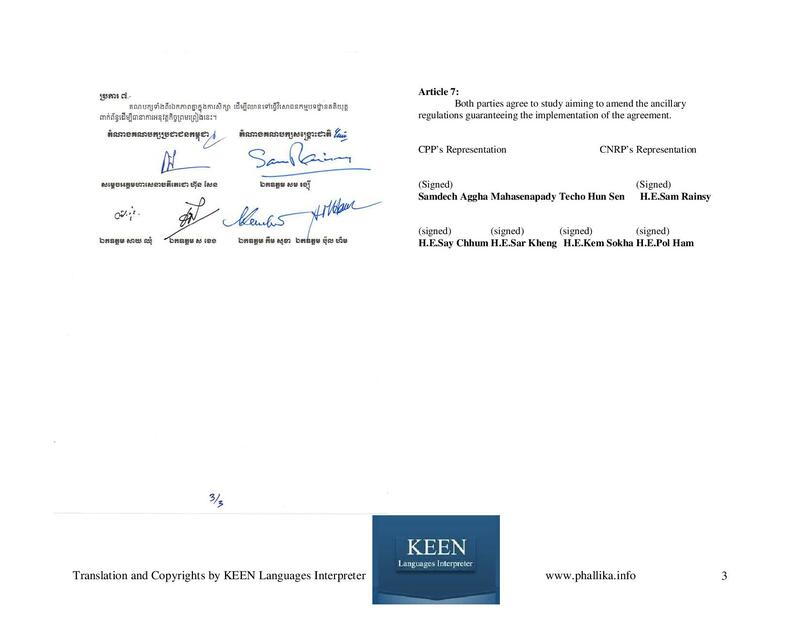 According to the publicized agreement (in Khmer and translated into English by KEEN Languages Interpreter), the current NEC that CNRP has fought vehemently, is still having full authority to conduct their tasks, and the agreed statement on 4 members of the NEC selected by the CNRP must go through this current NEC’s mission as usual before the new NEC body is created. The 9 members of the NEC or the formula of 4+4+1 will be deliberately applying to all levels such as provincial and district NEC, or just the top NINE? For the new date of early election is not mentioned exactly within the agreement as it will depend on the task force from both sides. For the power sharing within the parliament, CNRP is expecting to build rule of law from within the parliament on their insisting demand of “check and balance” governance by having separate power between Legislative and Executive. Hence, the agreement doesn’t say anything about Judiciary. Further more, there are loopholes on those 10 committees especially the possible inefficient work interaction. For instance, the “investigation, cleaning-up and anti-corruption” is led by CNRP including many other committees but not the “Finance”, or “Interior”, or “Public Services” etc. 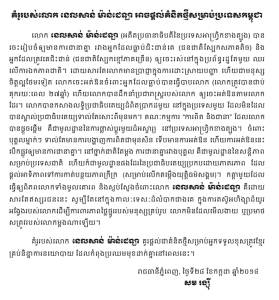 that will posit difficulty for CNRP to operate their task smoothly. The most challenging thing for CNRP is probably the limit of human resources. 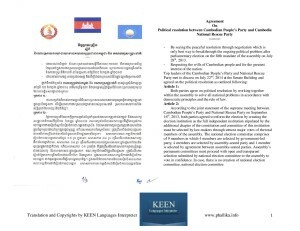 The agreement is lacking to mention the proper party name as “The Cambodia National Rescue Party” by writing only “National Rescue Party” which is a sign I would like to link to that CNRP cannot isolate itself from their people (supporters). Thus, the leaders of all levels must work hard to explain the reasons to join the parliament this time to the people (their supporters) before those supporters are confused by others. 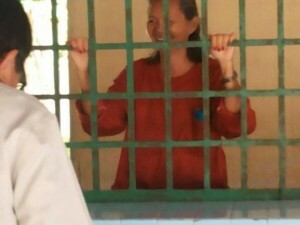 Sam Rainsy who is the president of the party is seen likely unhappy from this deal. His first word to the public is we have no option, national reconciliation and compromise is the most important thing. His speech posited many invisible meaning for all of us. He might foresee the long run consequences after CNRP joint the parliament. He has hugely gained experiences in Cambodian politics especially in handling with his everlasting rival, Hun Sen.
During this recent decades, I can say Sam Rainsy is a great Khmer leader who is projecting his new vital leadership to pave a new strong social fabric of Cambodia. Observers have simultaneously said that Cambodian social fabric has been so fragile. Violence, corruption and abusing of power etc. are easily happened by this post-Khmer Rouge society pattern. Visionary and long-sighted leader is a leader who comprehend this fragility and he is pragmatically staying in focus to bring about candid social fabric for Cambodian people. As the challenges, Cambodian social fabric is not only referring to the whole nation, but the biggest fractions such as CNRP party and CPP party. For Sam Rainsy, CNRP has many thing falling behind especially good flows of bureaucratic leadership and capable merit-based candidates appointment. While the party is emerged as the role model for Cambodian people especially the new aspiration of younger generation, the party-based candidates and staffs selection is seen not different from the CPP’s. By unparalleled on finance base and armed forces, the CNRP must ensure that the party can recruit the best candidates as their agents and can maintain the increasing people popularity. – By seeing the peaceful resolution through negotiation which is only best way to breakthrough the ongoing political problem after parliamentary election on the fifth mandate of the assembly on July 28th, 2013. – Respecting the wills of Cambodian people and for the greatest interest of the nation. Both parties agree on political resolution by working together within the assembly to solve all national problems in accordance with democratic principles and the rule of law. 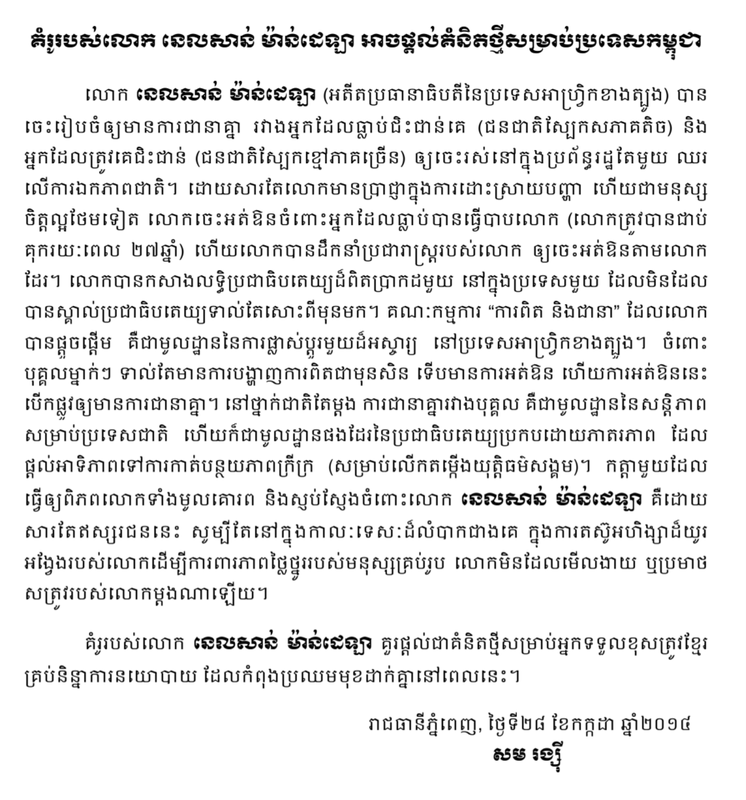 According to the joint statement of the supreme meeting between Cambodian People’s Party and National Rescue Party on September 16th, 2013, both parties agreed to reform the election by creating the election institution as the full independent institution stipulated by the additional chapter of the constitution and committee of this institution must be selected by law-makers through utmost major votes of the total members of the assembly. The national election committee comprises of 9 members in which 4 members are selected by government-led party, 4 members are selected by assembly-seated party and 1 member is selected by agreement between assembly-seated parties. Assembly’s permanent committees must proceed with open and transparent selection submitted by national election committee to the assembly to vote in confidence. In case, there is no creation of national election committee, national election committee that has already been established continues its task and have authority to manage the election according to the law. National election committee has autonomous operational budget for their task. 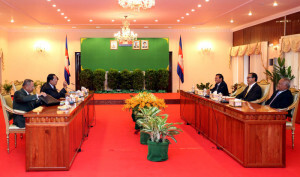 continues to discuss on agenda of election reform in the future in accordance to the joint statement of task force committee of Cambodian People’s Party and task force committee of National Rescue Party on February 18th, 2014 in which it also includes the new voters registration procedure. Both parties agree to reschedule the election date for the future election. comprises of 9 members. Any committee in which a part leads as a chair that party reserves 5 members and another party reserves 4 members. Both parties agree to re-arrange the chairmanship of the senate. Both parties agree to conduct reform and strengthen the important national institutions especially all independent institutions enabling to serve the nation and citizens in accordance to democracy of pluralism and the rule of law. Both parties agree to study aiming to amend the ancillary regulations guaranteeing the implementation of the agreement.